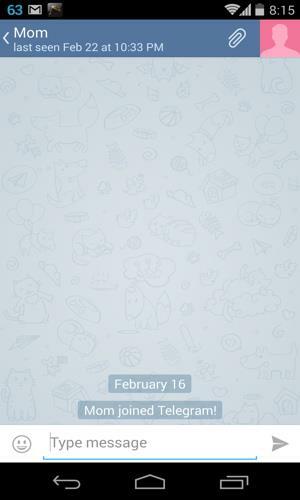 Telegram messenger app is gaining popularity. This application is being considered better than Whatsapp in terms of feature it provides. Though it is an open source however it is even more secure and faster than other IM apps (and it has an option for secret chat as well). 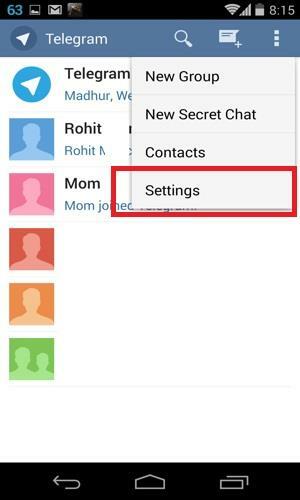 If you have been using other instant messenger applications like Whatsapp or WeChat and you are fed up with the old apps then you can try out Telegram messenger. If you have not yet downloaded and installed the app, then read this article to know more about Telegram. Clearly the above background is quite dull and boring. Basically the default background is nothing but a very simple image with some dull images in the background. 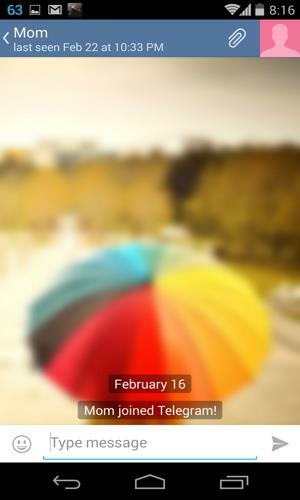 I would definitely want to change it to something bright which gives me good feel to continue chatting. First Step: Simply click the dots at the top right corner and then Select “Settings”. This will open up the settings page where you will see some option to change background image. 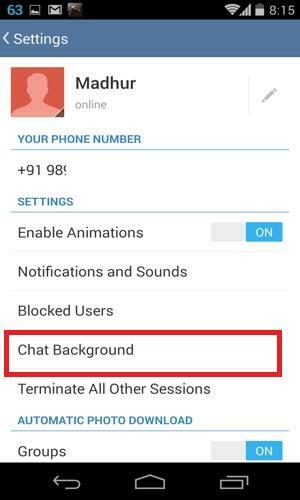 Step2 : Select “Chat Background”. 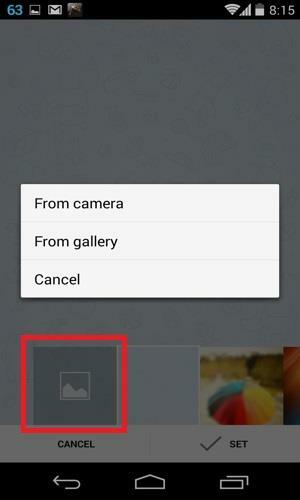 This will actually open the gallery where you will be able to select the image which you want as your background. To select from gallery or click a new photo, select the first image. 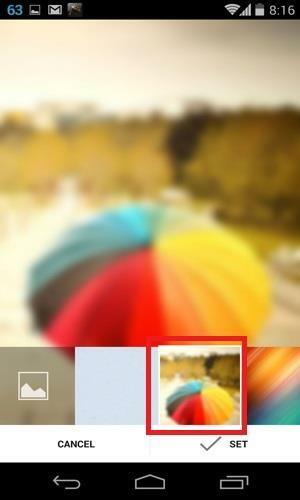 This will open up option for gallery/camera.